Even the poster for this re-release reminds me of Nayak: stark black lines evoking both movement (starburst, train tracks) and constraint (the center of a target, blocked by a grille, as Ray loves to depict windows). 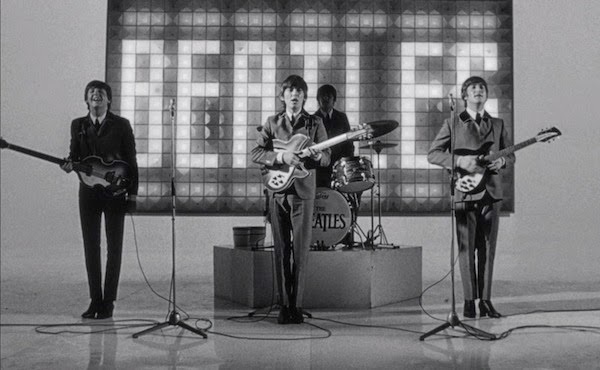 AHDN is much, much more concerned with the former, as suits the absolutely frantic pace of stardom and life in general for the Beatles in 1964. But underneath all of that are reminders of the power of the public gaze. 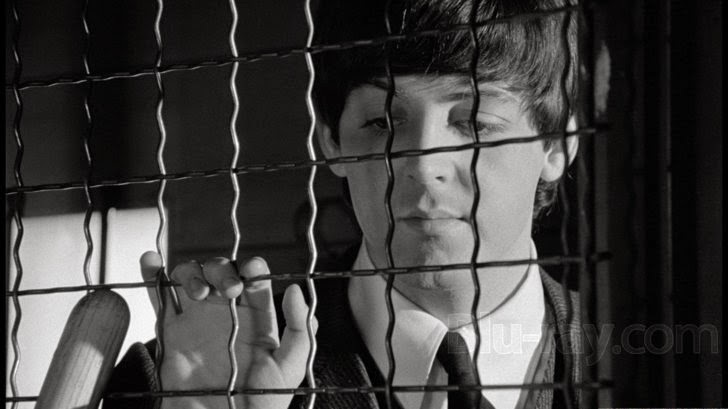 This image of Paul behind a cargo compartment grate is actually in a scene of his weariness at being responsible for his grandfather (everybody now: "He's very clean!") rather than being himself trapped everyone's stares, but it works both ways. 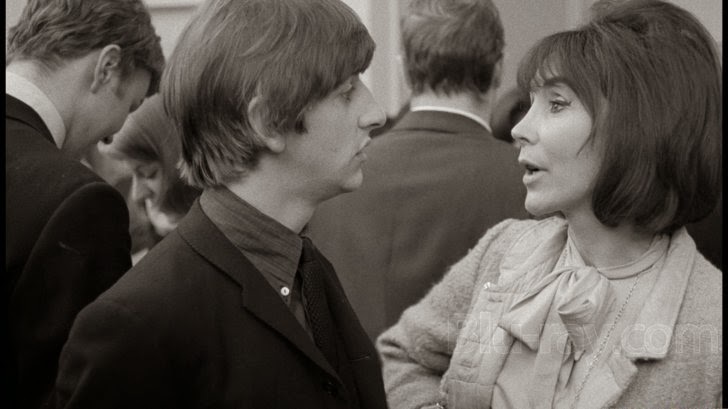 Throughout the film but particularly in his escape from the studio—"paradin'"—Ringo also flips the gaze around, snapping photos all over the place. This is played for humor: the camera does not really give Ringo much power, but it's clearly a mode of expression for someone who sometimes feels boxed in behind his drums. 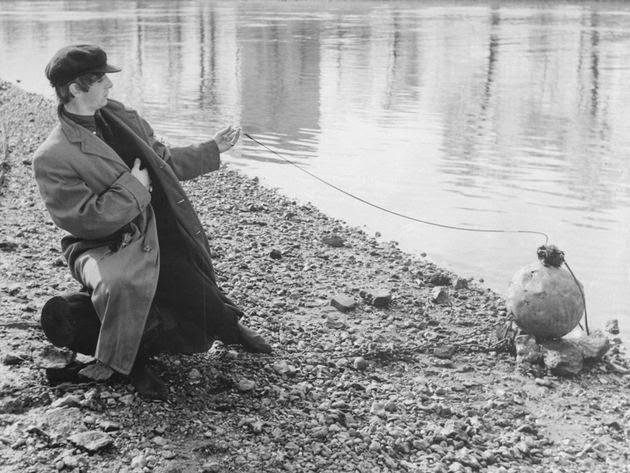 His attempt at a selfie in a thrift store coat ends with the camera in the water, as though any effort to frame his life on his own terms is, at least for the present time, doomed. It's been a very long time since I read any analysis of AHDN, but I don't think the writers or stars were trying to emphasize any kind of specter of celebrity; however, even (or maybe especially) at this point in their careers, any kind of attempt to document the Beatles or evoke their reality is necessarily going to give glimpses of the stress, danger, and just sheer craziness of their lives. 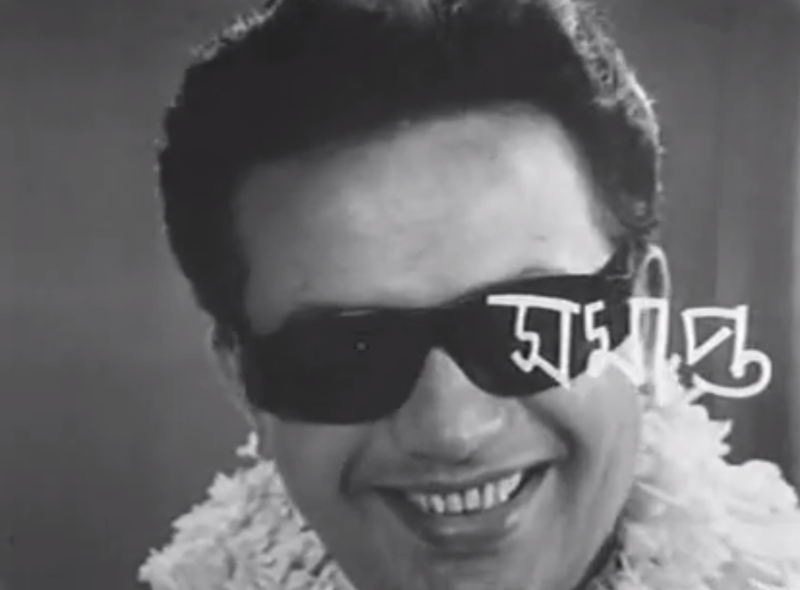 The hero of Nayak (Uttam Kumar as Arindam Mukherjee) is much more a seasoned pro than the Beatles are, able to switch off his public persona when it's about to crack him yet also still able to have fun with it when doing so benefits or amuses him. 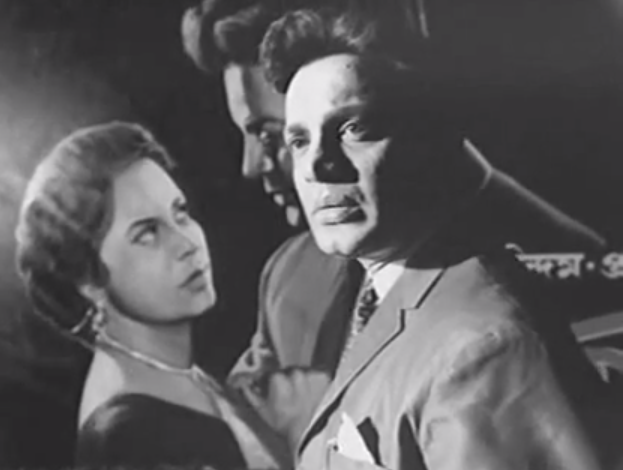 One of the film's two striking dream (nightmare) sequences reenacts a nasty incident in the public eye that the star has just experienced, and he is rattled by all the incessant stares of the impersonal onlookers. 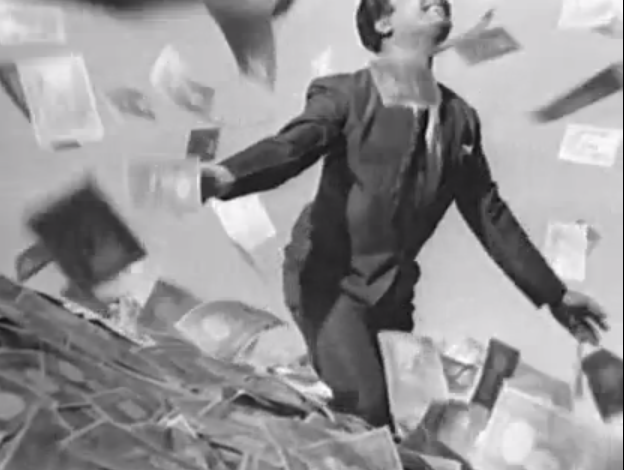 The public gaze in Nayak is a menace, and Arindam is proud of his ability to weather and control it. 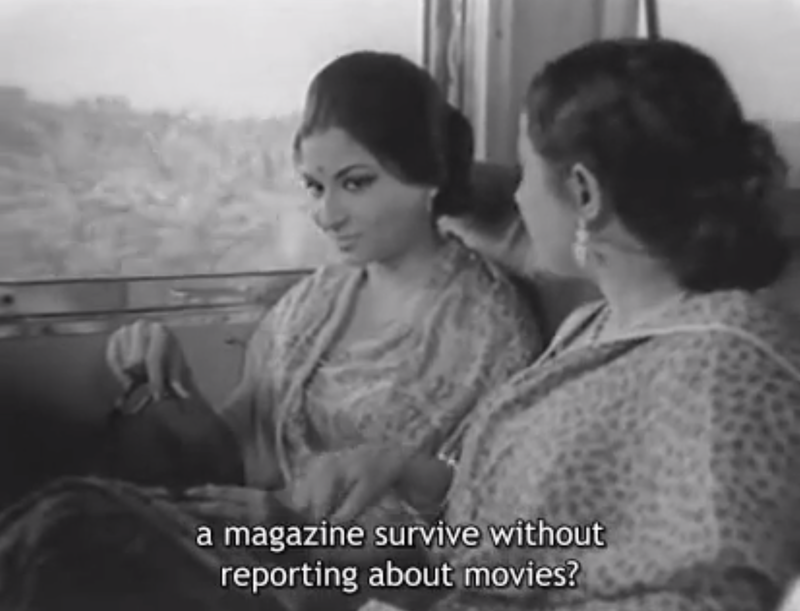 Here he has raised the curtain on a window when the train is in a station, suddenly subjecting his new friend, journalist Aditi (Sharmila Tagore), to the throngs and their imagination, almost threatening her with the effect his presence has on what those outside might assume. 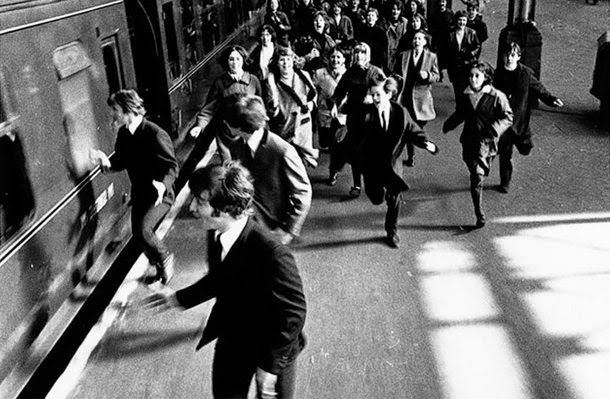 The civilians in AHDN who get caught up in the Beatles' orbit enough to interact with them are at worst confused but mostly delighted to be there: train passengers, other young people out on the town dancing at a nightclub, other entertainers at the tv studio, a little boy Ringo encounters on his solitary wandering. There's a difference in their celebrity. People seem to expect certain responses from Arindam and accept him as having authority, even if they judge his line of work harshly or just want something from him, whereas the Beatles are new enough that studio professionals tsk-tsk their attitude and their manager tries (and fails) to boss them around. In fact, George is mistaken for someone completely different than who he very famously is, and he is told by some kind of marketing schmuck that he knows nothing about the tastes of teenagers. This might also be commentary on their lines of work: film is seductive yet not entirely respectable, and rock and roll consumes us while resisting our control. 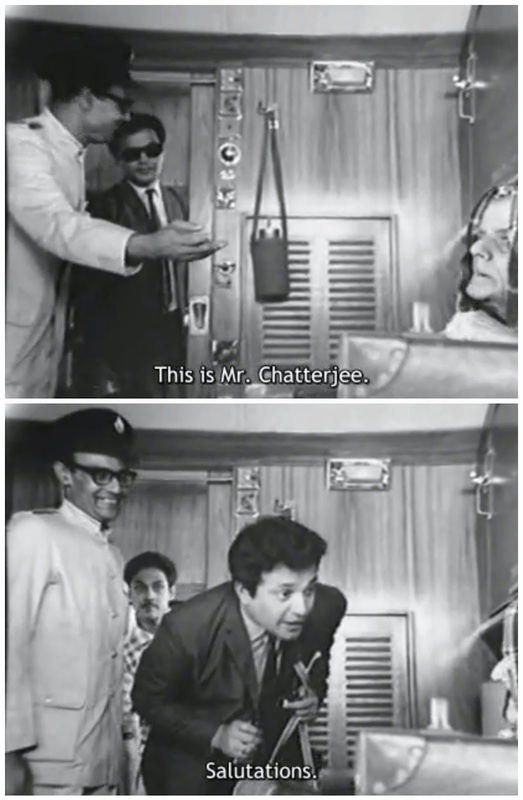 The opening sequences of A Hard Day's Night and almost all of Nayak take place on a train. 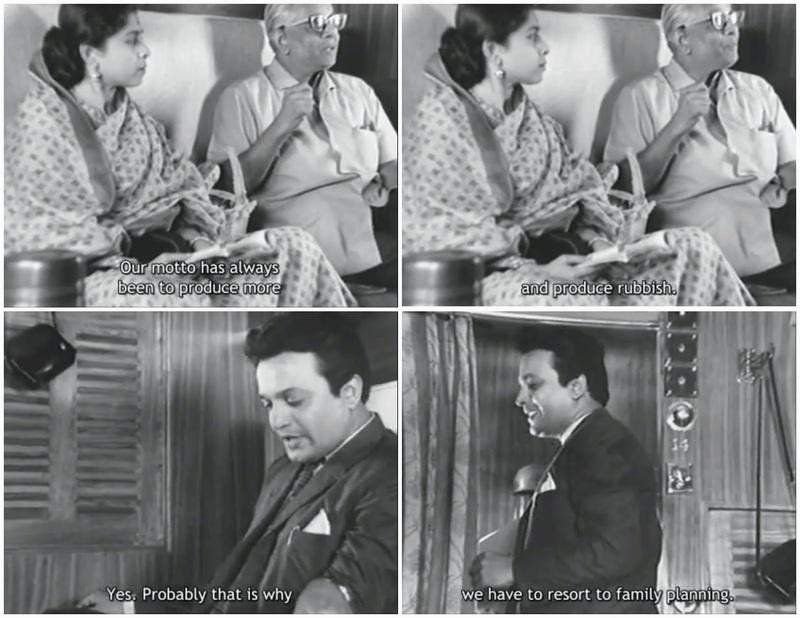 The train is much more metaphorical in Nayak, but the films share that notion of characters being contained (or trapped, depending on the mood) even while moving forward. It also isolates famous people from most of their publics and gives them a chance to show a little more personality than they can in more formal or more broadcast situations. Both films show a civilized society in miniature forming in the train, even in the presence of such big stars, and especially in contrast with what's outside. 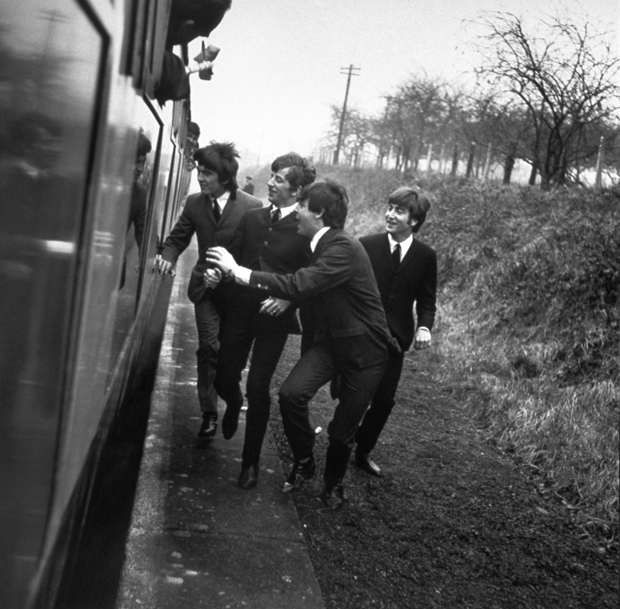 The Beatles, being younger and in a cheekier context, also manage to escape the train while still being on their journey, taunting the stuffed-shirt passenger in their first-class compartment who clearly thinks they don't belong there and won't let them open the window or turn on their radio. It's a great little moment that essentially breaks the laws of physics but works perfectly as a statement of the power of youth and fun, contrasting with the old order. Arindam too sasses people in his compartment. He has no interest in polite conversation, maybe because he's heard it all a million times or maybe because he's flippant and funny by nature and is allowing himself a little vacation from chitchat. This gentlemen critiques the Indian film industries by saying "Our motto has always been to produce more and produce rubbish," to which Arindam replies "Yes, that's probably why we have to resort to family planning." Like the Beatles, he doesn't take his public persona too seriously, even as the films demonstrate that both care deeply about their work. Other people, however, have more serious uses for them, at least at first: the Beatles' beleaguered minders, Norm (Norman Rossington) and Shake (John Junkin), can never maintain order, and Arindam is considered prey for Aditi before they both let their guard down and become friends. In both films the stars never do anything with negative consequences for their profession. They misbehave (the Beatles go AWOL and Arindam has a nervous breakdown in the dark hours of his journey) but recover in time to keep up their images. Again maybe due to youth and even the arena of their celebrity, the Beatles are never shown as fully bad; their rebellion against authority figures is fun and actually gives them power. Arindam, on the other hand, is in despair, but only Aditi knows it, and she will keep his secret. When the train stops and the public sees him again, all is as it should be. 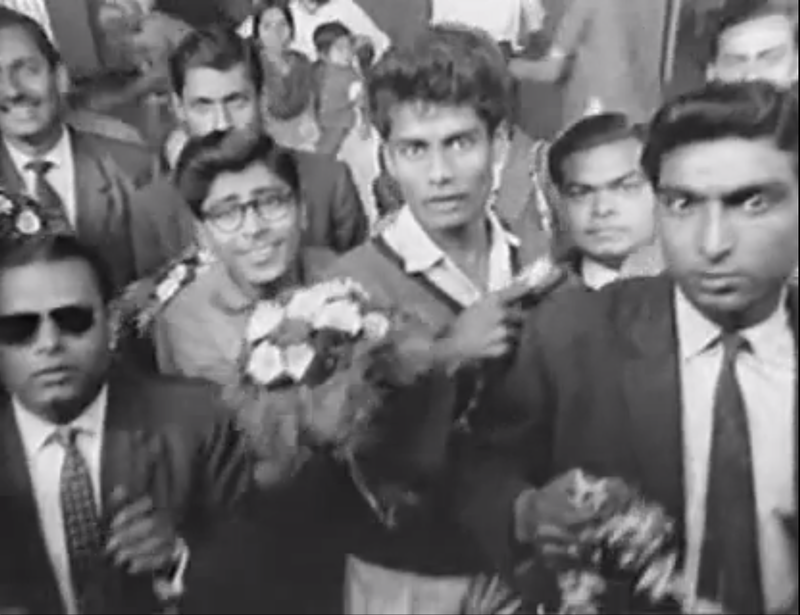 Escape is a theme in both films, with the Beatles given more opportunity for and being much better at it than Arindam. His escape comes mostly in dreams, and even they turn dark after offering a few moments of fantasy and fulfillment. To me, the grassy field sequence in AHDN almost feels like a dream too: stylized, no dialogue, sped-up motion, actions and formations that make no particular sense other than as gratification. • I don't know what to make of the funny old men in the films other than comedic moments. Paul's grandfather is a lot more trouble than Mr. Chatterjee the film critic, but he seems to be kinder too. Both provide little moments for the stars to react against. They might be representations of the establishment and respectability that are fading in the face of pop celebrity? • The performed version of self. 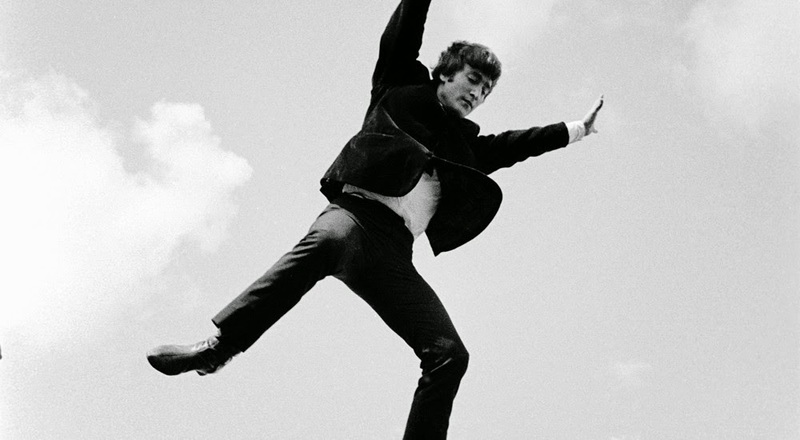 It seems to be fun and very natural to be the Beatles, consistent with the dominant tone across AHDN. But they're also shown changing into their famous velvet lapel suits, very different from what they've been wearing throughout the rest of the film. As much as I love their name in lights coming up at the end of their show, especially in contrast to the more arty, less blatant backdrops that appear earlier (specimen photos of beetles; stacked, rotated images of the boys with their arms outstretched), it's a little ominous when you think about it from our perch in history. They will never escape being Beatles, and it's a force that will burn out surprisingly quickly in comparison to the careers of some of their peers. For Arindam, a hoarding for one of his films exists in a dreamscape he wants to flee. Does he not like who he is in the films or who he's become because of them, or perhaps he fears being locked forever into that kind of image? 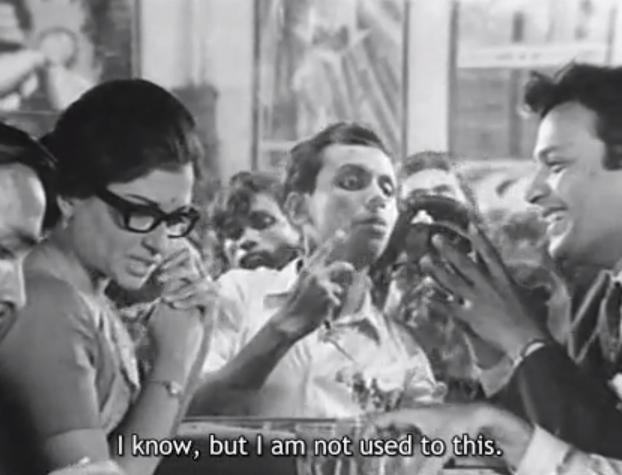 Is this commentary on Uttam Kumar's matinee idol status, examined in the light of the most famous non-mainstream director who famously usually worked with another male star? • As probably happens in lots of films about popular celebrities, there's brief discussion of whatever the larger, dominant market in that field is. In AHDN, there's the famous "How did you find America?" line, basically a throwaway moment that doesn't do justice to just how significant and incredible the Beatles' invasion of America really was. 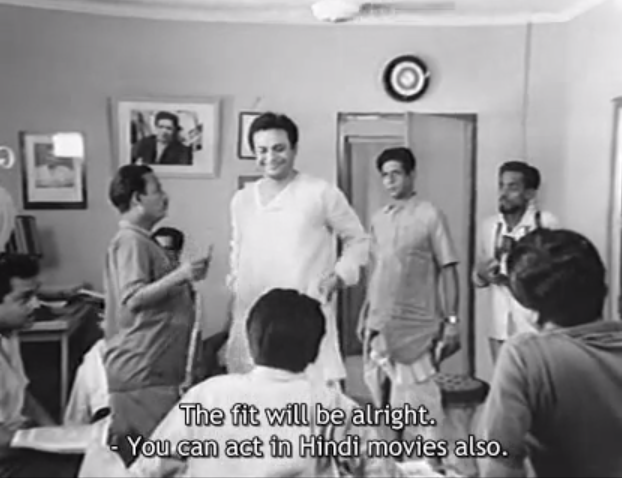 In Nayak, of course it's a reference to Hindi films, made a little more poignant since Uttam Kumar did do Hindi films but not to any particular acclaim (and one of them, Chhoti si Mulaqat, was a flop that almost bankrupted him). • Photographs of the stars. Again, probably inescapable in stories about celebrity, and in both films I think they remind us of the sometimes disposable and replicated nature of stardom. Are these the same image that's framed on the wall in the screenshot above? In AHDN the photos are even thrown out of a helicopter at the end, jettisoned as unnecessary cargo or descending from heaven, take your pick. 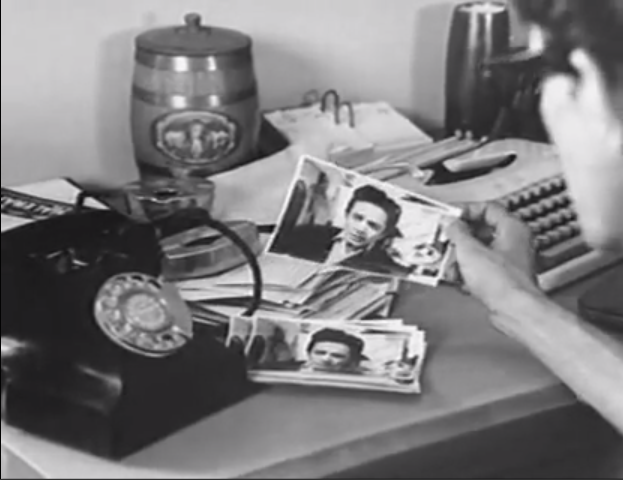 There are also images of the Beatles scattered around the film, like on the cover of reading material held by various people (one also shows Elvis too) and a copy of John's book In His Own Write sitting on a shelf. In the case of AHDN the photos help further blur the sense of how documentary the film actually is. They didn't just make up a book with John's face on the cover: they used the actual cover of his actual book. More ideas on these two films or on other mid-60s movies that deal with mega celebrity? Tell me! * A brief introduction to Nayak for anyone unfamiliar with Indian films, perhaps hopping over from I've Got a Beatles Podcast: written and directed by Satyajit Ray, whose Apu Trilogy you may have watched in a college cinema course and who is generally considered India's top entry into any kind of world cinema director's club, this film was actually conceived to be made with Uttam Kumar, the incredibly famous and beloved movie star from Calcutta who plays Arindam, the incredibly famous and beloved movie star from Calcutta in the film. 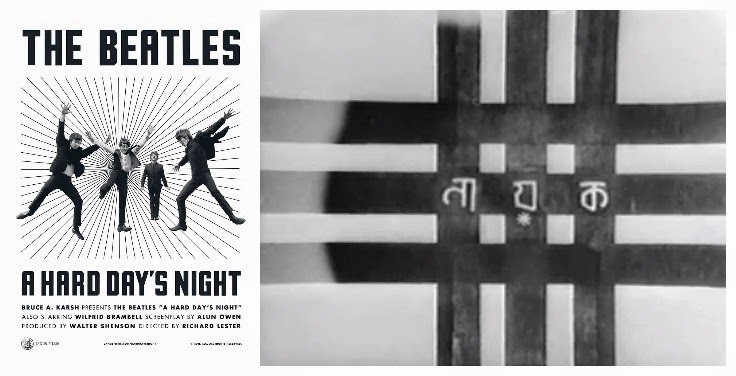 So just like A Hard Day's Night, Nayak does not expressly claim to be a documentary yet is clearly based on real events and attitudes and the perceived reality of its subject. 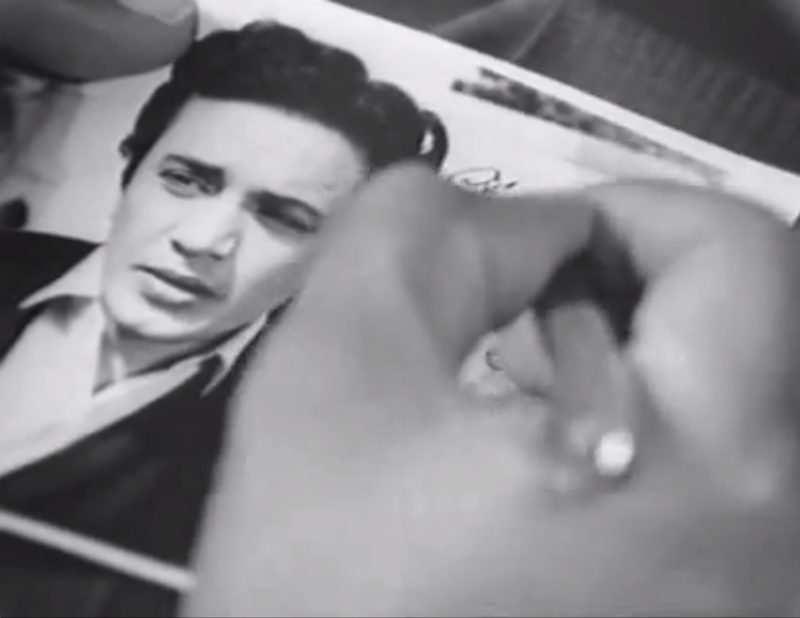 Also like the Beatles, Uttam Kumar disappeared long before anyone might have expected: he suffered a heart attack while shooting a film at age 54, leaving a void in the Bengali film industry that some people claim has still not been filled. 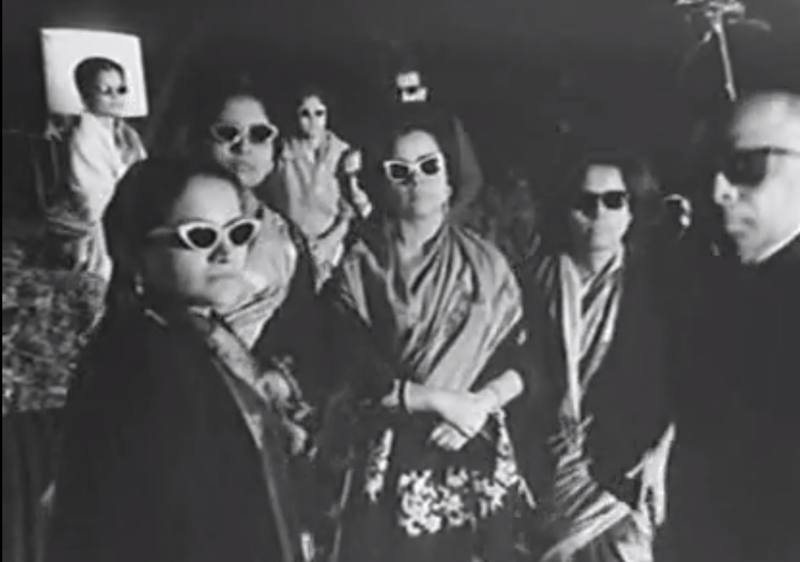 To give you a taste of his popularity, the subway station in the filmmaking neighborhood of Calcutta has been renamed in his honor—Mahanayak Uttam Kumar, "the Great Hero"—and covered with images of him and his films, and there is a larger-than-lifesize metal statue of him in a roundabout just outside it. I want to call this piece grotty but that's just because the word is bursting out of me. It's actually a very thought-provoking comparison and I hope it's widely read, Beth. Ooh, combining Injun movies and the Beatles? That's two of my favourite things right there. Chuck in some Doctor Who and it'll be complete: when the two movies were released, the Doctor was first meeting the Sensorites and then he was at the OK Corral (no, I can't think of any connections right now). Sue - I would definitely take "grotty" as a compliment in this context! Thank you! Nikina - MINE TOO MINE TOO! :D Do watch Nayak and let me know what you think - it's one of my favorites of Ray's films and is a spectacular entry into the category of Indian films that depict and/or discuss celebrity (Indian cinema-based celebrity especially).